Vason Hamrick focuses his practice on business and corporate law. 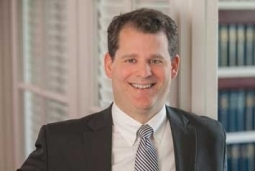 He provides general counsel to businesses across a variety of industries, primarily with respect to formation and organization, governance, commercial contracts, raising capital, and transactions involving the purchase and sale of a business. Vason previously served as in-house counsel to an investment administration firm, working closely with registered investment companies and other types of investment funds. In addition to handling a broad range of corporate and business matters, he was responsible for advising on fund activities and compliance with federal securities laws. Vason earned his law degree from the University of North Carolina School of Law, after earning a B.S. degree in Biology at the University of North Carolina at Chapel Hill.